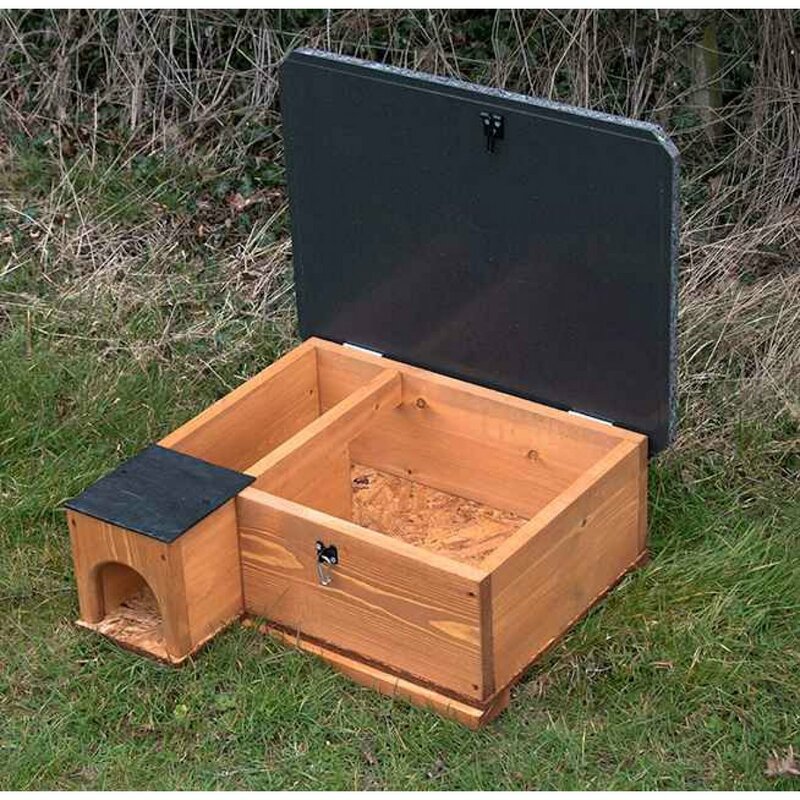 We are very excited about this new updated design of our popular hedgehog house. This newer model offers an improved roof design, an improved entrance and much bigger internal dimensions. It still comes with the weatherproof lockable lid, which is made of a new product which is solid weatherproof insulated composite board. This new roof material looks like solid granite, and makes for a good waterproof lid. Along the inside are grooves to stop any water runing inside, which works very well. 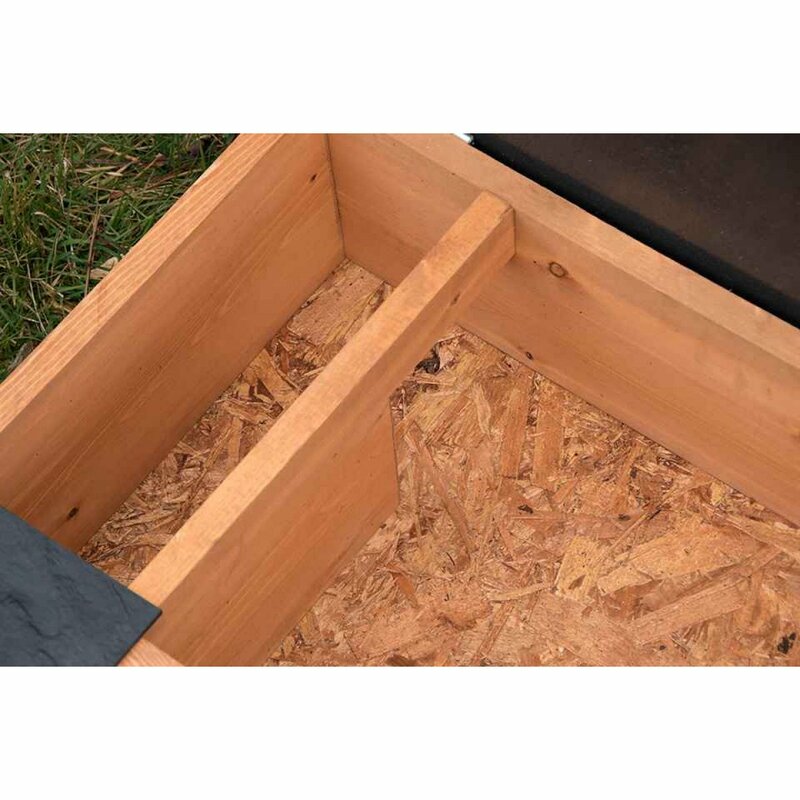 Overall, an excellent quality and affordable hedgehog house, and probably our best selller. The best thing i could advise is that you firstly clean out the hedgehog house and place some new fresh bedding in the house to attract some new hogs. Secondarily i would put some food into the house to attract them inside the house, lastly i would make sure its in a nice safe place along a wall or fence so the hedgehog doesn't fell under danger if the house was in a open space. also watch where the hogs are staying or moving around and put the house in or around that area. I would try these steps first to see if you attract a hog back into the house again. On the hasp and staple there should be a lock called a carbine hook “sliver ring” there Youll find a middle on the lock where you can push it in on the lock and it should spilt on the opening of the lock to allow you to open the hedgehog house. Yes you can put some bedding in bits of old grass, leaves and twigs from your garden (if there nesting in your garden) hedgehogs like the surrounding smells there used to, to nest in but remember hedgehogs like to make there own nest/ bedding area so don't put too much in for them also make sure you wear gloves as hedgehogs don't like different smells such as human smell on their bedding.